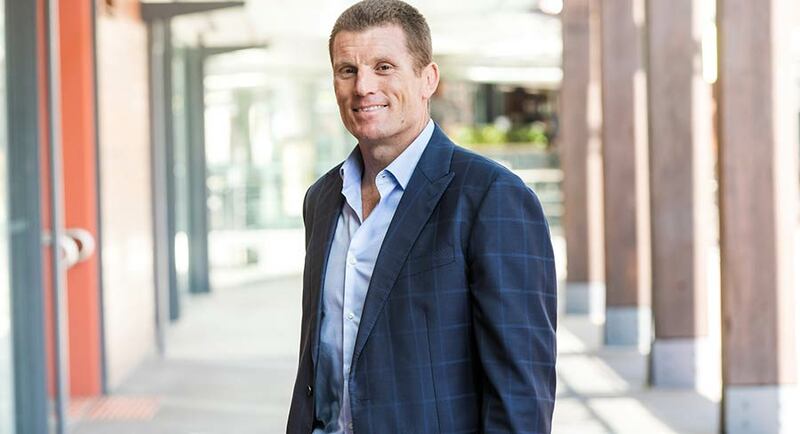 GroupM introduced its addressable TV initiative, Finecast Australia, at the end of 2018 and so far it has run more than 60 addressable TV campaigns for more than 25 clients. Finecast has partnered with broadcasters Seven, Nine, 10, SBS and Foxtel via MCN. 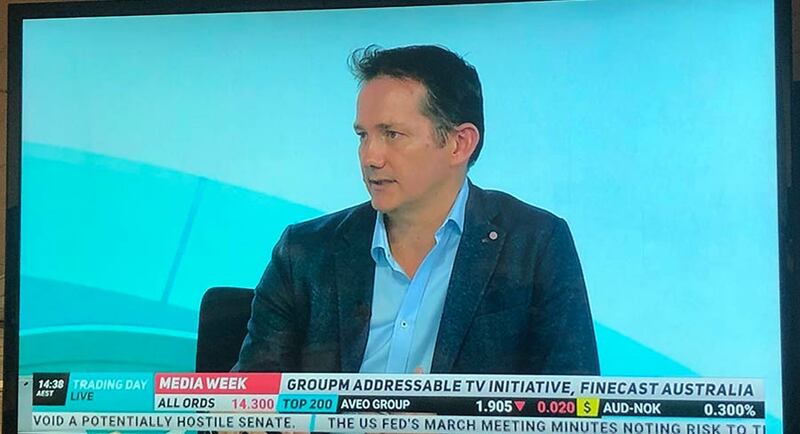 To explain exactly what Addressable TV is how and it works, Finecast managing director Brett Poole was a guest on Mediaweek’s weekly Your Money segment and spoke with James Manning, Ingrid Willinge and James Daggar-Nickson. This is where advertisers can deliver different messages to different homes, unlike what you can do with broadcast TV where everybody sees the same ad at the same time. It is a huge advance in TV advertising, which in the past has been used for reach. Now you can start segmenting audiences. One of the changes in recent years has been the adoption of smart TVs, which enable broadcasters to get data. That allows information about who is watching that TV and broadcasters have invested a lot of money to develop catch-up apps, or OTT apps, which allows advertisers to have the data transfer when buying television. When a viewer is logged into their favourite app we know where that viewer and they can smartly deliver an ad. Can you do it while watching live TV? The answer is yes with people watching live streaming. That has been more difficult for the broadcasters to enable, but most of the broadcasters can now do that. When people live stream sport you can get a huge audience watching at the same time. Which is the promise of TV – there is no other way better than TV to get such huge audiences. How big is the opportunity for advertisers? It is not as big as broadcast TV, which is still the biggest and the best for reach buys. OzTAM though has measured as many as 12m different devices being connected in a month, which is also a big reach opportunity. People say that TV is in decline, it is only the measurement that is in decline, TV has never been better than it is today. It is just not measured in the same way as people choose when they watch. What are the ramifications for the cost for advertisers – will it cost more. The base price for addressable TV will cost more because it is more targeted. But when you work out the efficiency of the buy it is always better than broad reach campaigns. Will advertisers spend less to reach audiences, or more because it works better than reach? I have never met a marketer who didn’t spend more when something worked. Because it works it will get more spend diverted to it on media plans. Are we seeing changes in the way adspend is allocated? Because we have been planning TV the same for decades it is now a challenge because every part of the delivery has changed – from planning to how we activate an ad to how interesting we make the creative to how we measure it. How good are broadcasters with their data – are some better than others? I love all broadcasters equally! They all have benefits and they all have a different strategy. They have all invested in the changing nature of TV and those experiences. How big will on demand & live streaming become? We are seeing way more programming being made available. Globally GroupM has forecast that up to half of all viewing could be addressable in some way. Starcom will take over four Australian households and transform them into connected smart homes of the future, in a research project designed to uncover how smart technology will change consumer behaviour, and the commercial opportunity for brands. 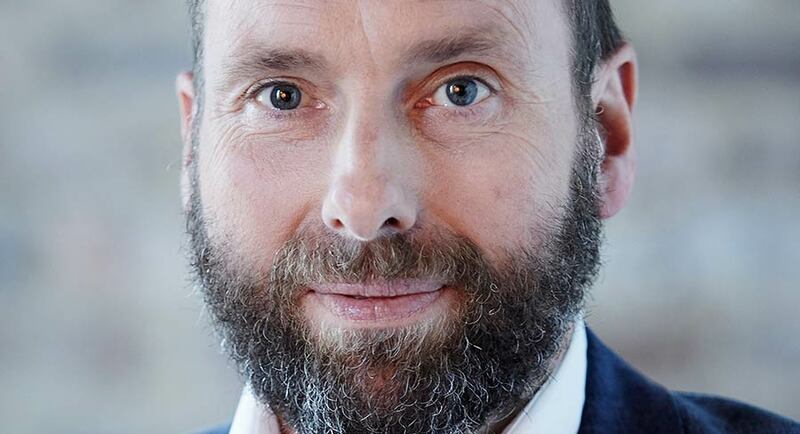 On announcing The Future of Connected Living research project, Starcom CEO Toby Barbour said: “We’re experiencing a fundamental shift in connectivity, with consumers embracing voice technology at a rapid pace. When it comes to the use of voice technology in homes, we’re already seeing significant changes in human behaviour with the arrival of smart speakers and voice assistants in over one million Australian households. “But so far businesses have largely focused on the technology, which only tells part of the story. To fully realise the opportunity, our thinking needs to be human centred. 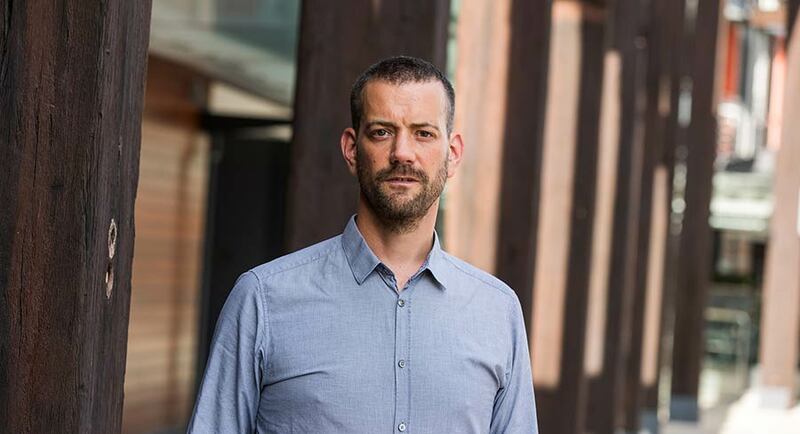 The project is being led by Starcom’s national head of futures & product, Graeme Wood (Pictured) along with research agency partner, The Practice Insights. The four households, based in the greater Sydney area have been chosen to reflect the complexity of Australian family life. As part of the initial stage of the 12-month project, these “natural labs” will be observed over a four-week period between March to April, with observations recorded via a mix of filmed video diaries by the households, filmed observation, and show-and-tell interviews. Wood said: “We will bring to life what the future of family living will look like and provide an ongoing ethnographic study of human, lived experiences. Research outcomes will include gaining a deeper understanding of how and why consumer behaviour is changed by the experience of living in a smart home; and provide practical knowledge relevant to brand experience, product, service, content and commercial development. John Broome, CEO, the Australian Association of National Advertisers added: “Marketers are always interested in how consumers react and change their behaviours in response to new technology. Emerging developments in connected home technology will be very interesting, and Starcom’s study will give us a perspective on what is to come. Home And Away dropped to 382,000 with no episodes screened in Melbourne and Adelaide with an early start to the AFL. 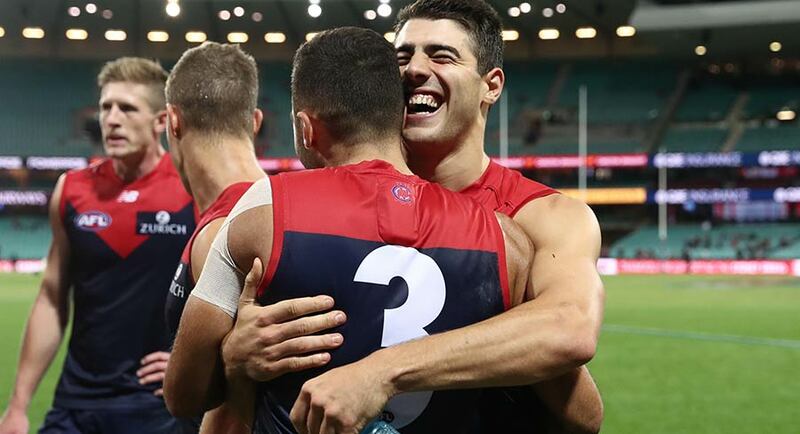 The football clash saw a return to form for Melbourne, which overcame Sydney after a sloppy start to win their first game of the year. 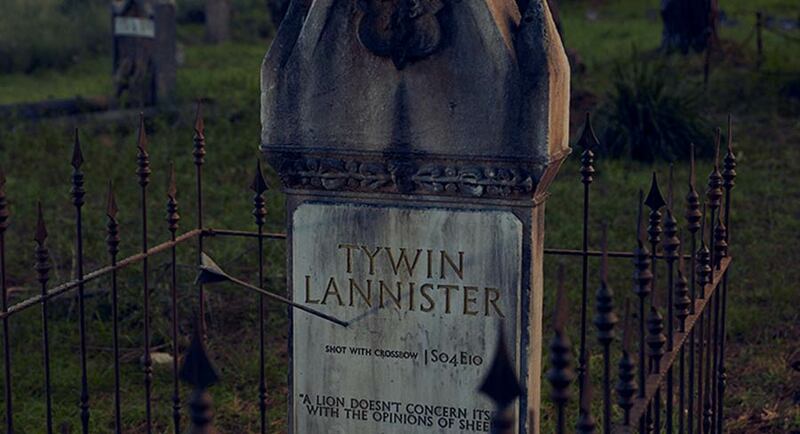 The network audience was 572,000 after 675,000 a week prior. The Melbourne audience of 322,000 was down from 387,000. With Sydney playing, the audience watching on 7mate climbed from 23,000 last week to 55,000. Nine’s night was boosted in Sydney and Brisbane by the NRL clash that saw West Tigers defeat the Broncos. The audience was 413,000 with 198,000 and 187,000. The metro audience was down a little from 443,000 a week ago. Nine’s winning Sydney share was 23.1% while in Brisbane it was 28.5%. A third evening of Bachelor In Paradise saw the audience close again to half a million, although now just under that figures after audiences above 500,000 earlier in the week. The final episode of season nine of Gogglebox Australia then did 537,000 after 578,000 a week prior. The episode with all the Goggleboxers being super impressed with Ricky Gervais and After Life. The two shows helped 10 to its best share in four weeks and its second best numbers in eight weeks. The primary channel had the top two shows under 50 and in key demos. Escape From The City visited the southern tablelands with 357,000 after 321,000 a week ago. The final of Informer then did 149,000. Part 1 of Victoria And Albert: The Wedding drew the biggest Thursday crowd – 208,000. The two hours of the drama Project Blue Book then did 138,000. Walt Disney rose to the top of Hollywood on its ability to pack movie theatres and theme parks. Now it is betting that to stay on top, it needs to come to you, by streaming entertainment directly to TVs and phones, reports The Wall Street Journal. Disney is preparing to launch a service called Disney+ that will, for a monthly fee, stream new and old shows built around its most popular franchises. That means breaking off a lucrative relationship with Netflix and instead competing against the streaming powerhouse. Disney franchises such as Star Wars and High School Musical will anchor the monthly subscription service, which will launch in November. In November 2015, Disney launched in Britain its first effort at a stand-alone streaming service, called DisneyLife. It offers access to about 400 movies, 6000 songs, 4000 TV episodes and 250 books, initially for about £10 a month. The service failed to catch on with subscribers, even after its monthly fee was cut in half. The company that owns the National Enquirer said it is exploring a sale of the scandal-plagued supermarket tabloid, which has been at the centre of hush payments to women who alleged they had affairs with President Donald Trump, reports The Wall Street Journal. Sales of the Enquirer have been in steep decline for years. The tabloid had weekly average sales of 218,000 in the six months that ended in December, down 41% from 2015, according to the Alliance for Audited Media. The Globe also saw weekly sales fall 34% to 117,000 in the same period. While the Enquirer is American Media’s most notable publication, the company also owns a number of other gossip titles, such as Ok!, Star and Us Weekly, which it acquired for $US100 million in 2017. Last year, American Media acquired the gossip titles In Touch, Life & Style and Closer from Bauer Media USA for about $US80 million. Read the statement from American Media here. Oscar-winning actor Geoffrey Rush has been awarded $850,000 in initial damages after winning his defamation case against Nationwide News over two articles published by The Daily Telegraph in 2017, reports ABC News’ Jamie McKinnell. Justice Wigney said in publishing unsubstantiated stories alleging Rush behaved inappropriately towards a female co-star during a 2015-16 production of King Lear, the newspaper produced “recklessly irresponsible pieces of sensationalist journalism of the very worst kind”. “We are disappointed with Justice Wigney’s findings, in particular his dismissal of Eryn Jean Norvill’s evidence. We disagree with his criticisms of her and she has our full support. Just weeks after revealing a partnership with Chugg Entertainment, Frontier Touring’s Michael Gudinski says a new joint venture with concert promoter and venue manager AEG Presents will bring enormous benefits to live music fans and artists across Australia and New Zealand, reports The Age’s Martin Boulton. Frontier’s partnership with AEG, one of the world’s leading music and sports entertainment companies, formalises a relationship that’s existed for over a decade and brought some of the world’s biggest touring artists to Australian stages, including Ed Sheeran and the Rolling Stones. “The name of the company isn’t changing,” Gudinski said, referring to Frontier Touring, which has been touring artists and promoting concerts for close to four decades. AEG Presents, which has its headquarters in Los Angeles, also owns and runs Coachella, which is being headlined this weekend and next weekend by Australian band Tame Impala. The company also runs the hugely successful summer concerts in London’s Hyde Park. Comedian Chris Lilley has got social media users in a spin again, five years after his controversial series Jonah from Tonga aired, reports The Age’s Broede Carmody. On Thursday, Netflix dropped the trailer for Lunatics, a 10-part mockumentary created by, written by and starring Lilley. The show marks the Australian’s return to the small screen and will introduce six new characters to viewers. One of the characters, Jana – described by Netflix as a South African “lesbian pet psychic to the stars” – has attracted plenty of attention online, with some social media users claiming the character looks to be wearing blackface and is sporting an afro in the trailer. Lunatics is set to debut on Netflix on April 19 and, as with previous projects Summer Heights High, Angry Boys and Ja’mie: Private School Girl, will feature a mixture of mock interviews and fly-on-the-wall footage. 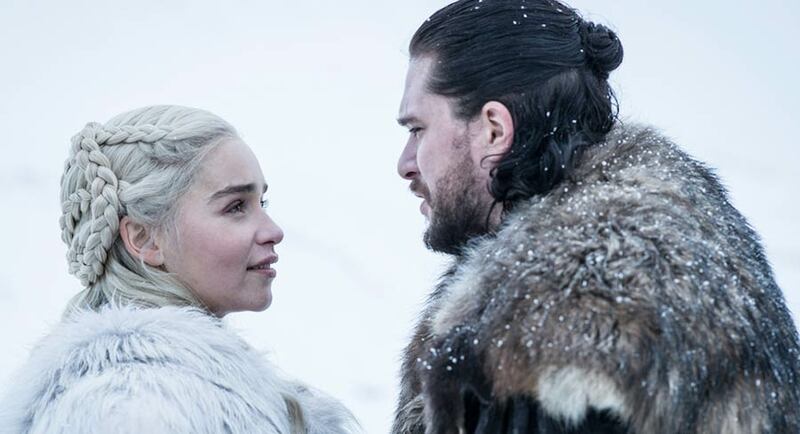 For Stephanie Bendixsen, the desire of television audiences to escape into a world of fantasy is a rational response to the challenges of modern life, reports The Australian’s Justin Burke. 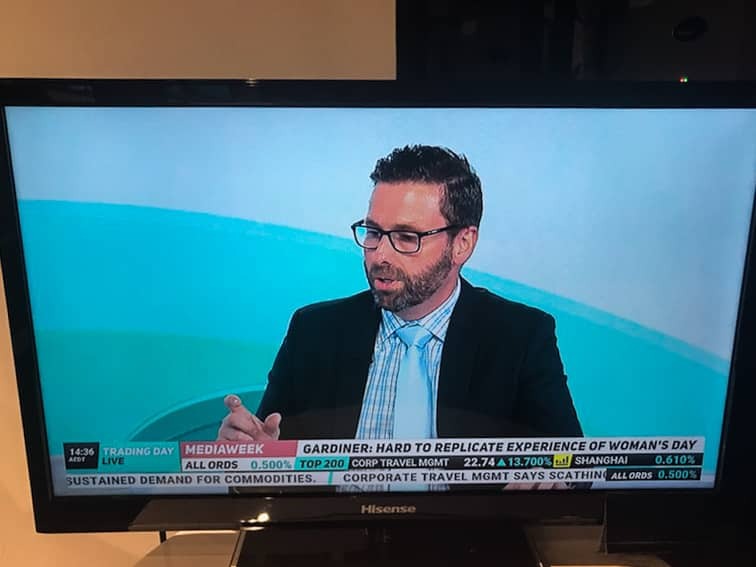 “Growing up, I was an awkward, acne-faced goth kid who played a text-based role-playing game to escape the pressures of high school and popularity,” said the co-host of Foxtel’s new live Game of Thrones aftershow Thrones 360. 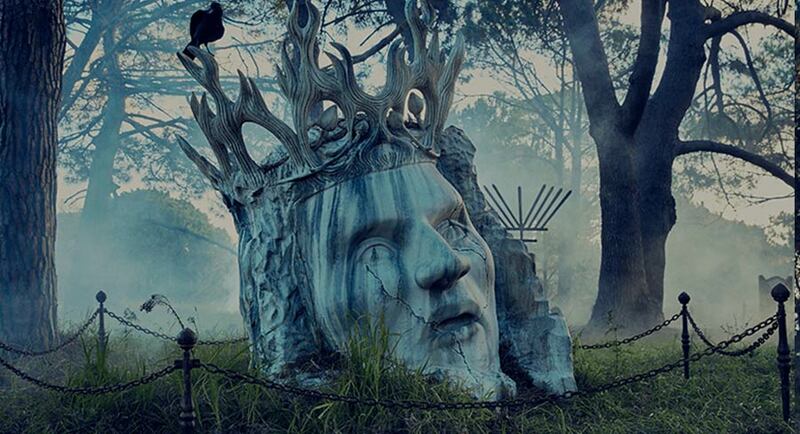 Amid white-hot anticipation for the eighth and final season of Game of Thrones, which premieres on Monday, Foxtel has installed a death-themed fan experience in Sydney’s Centennial Park titled Grave of Thrones. 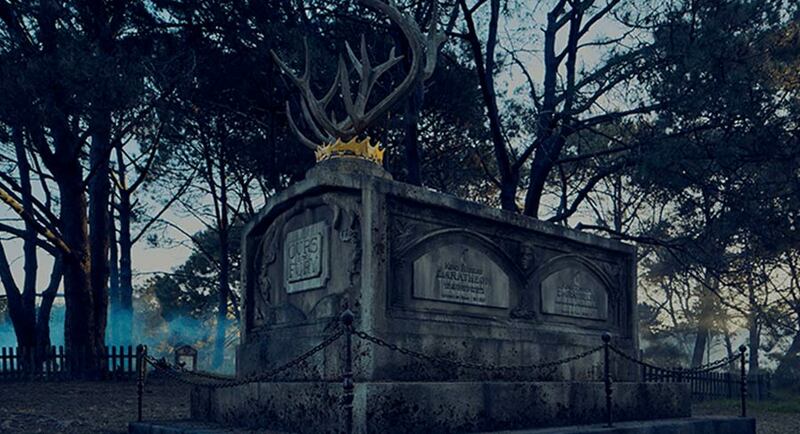 It features more than 2000 square metres of gravestones and mausoleums for the dead characters of the series. 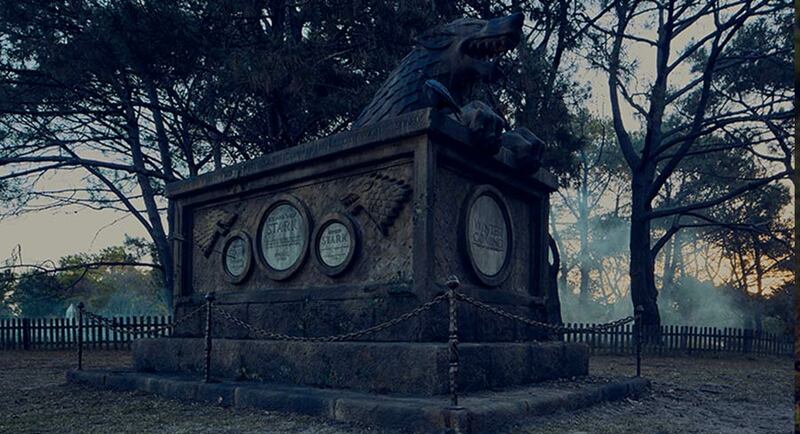 Fans are encouraged to bring tributes to lay on the tombs; downloadable maps and an audio tour of the “cemetery” are also available. They might be starring on Australian TV’s most successful show but that doesn’t mean the stars of Married At First Sight are raking in millions, reports news.com.au’s Hannah Paine. WA football fans hoping to not see Eddie McGuire’s face on their television tomorrow night have had their prayers answered by Channel 7, reports The West Australian’s Mitchell Woodcock. Seven will broadcast its own localised pregame, postgame and half-time shows during the western derby, and McGuire will be heard only during the play. The decision comes after The West Australian reported on Wednesday the Collingwood Football Club president would be part of Fox Footy’s western derby commentary team for the first time, despite WA football fans voting him the most annoying commentator in last year’s Seven West Media poll of more than 10,000 people. McGuire responded by suggesting on radio that he should be in WA as part of the lead-up to the big game and the State Government was not maximising Optus Stadium’s potential as an interstate tourist attraction. “One of the things I have been working closely with the West Coast Eagles and speaking to Fremantle and particularly the WA Government, is bringing people from Victoria every week to that magnificent new stadium,” he said.